Cool down, chill out and stick one of these in your face. We've gone popcicle crazy! Vacation on a stick! 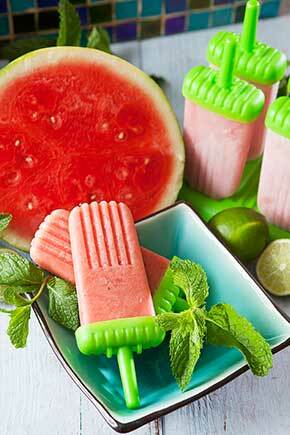 Escape to paradise with just one bite of these deliciously refreshing watermelon, mint, coconut, lime popsicles. 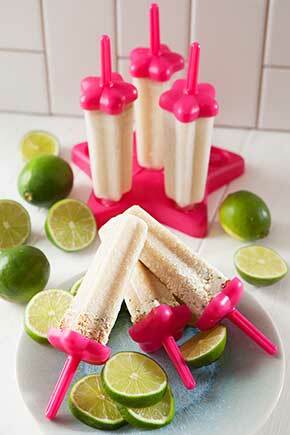 Like a tropical key lime pie on a stick, rich coconut blends with tangy lime to make these refreshingly sweet yet tart frozen treats! 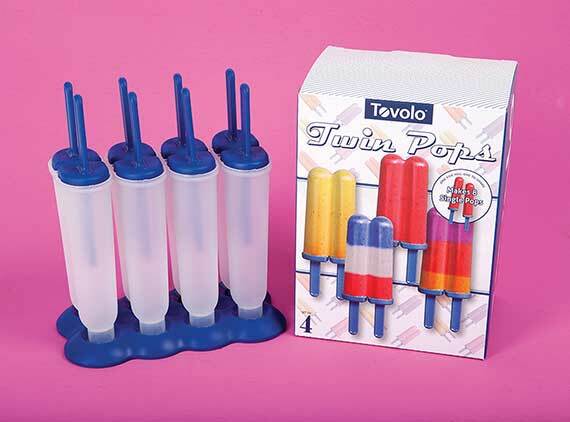 Break the mold at your next shindig with frozen treats that you make yourself using pop molds from Tovolo. 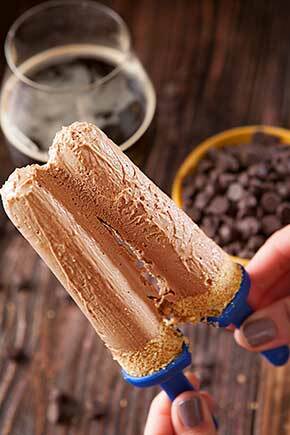 Choose from classic mold styles like Groovy Pop, Twin Pop, and Star Pop, and you’ve got a fun, homemade frosty treat. BPA-free and dishwasher safe, these pop makers have built-in handles and deep drip guards to prevent sticky fingers. Just fill with your favorite ingredients like pureed fruit, ice cream, yogurt or sorbet, freeze, and enjoy. Ground control to major refreshment! 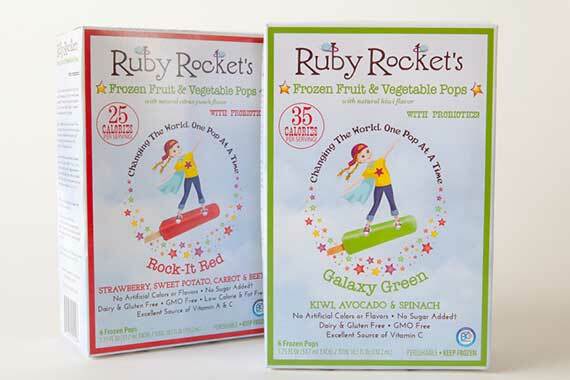 It doesn’t take a rocket scientist to know that yummy things come in green and red packages, and Ruby Rockets popsicles are kid-friendly (adult-friendly, too) healthy frozen treats perfect for any day of the week. Packed with all the good stuff, these frozen fruit and veggie pops taste great and are made with natural flavors, added probiotics, and no added sugar. Weighing in at less than 35 calories and fewer than four grams of sugar per pop, these vegan treats are a healthy alternative to the traditional frozen dessert. Blast off with Rock-it Red, a mouth-watering blend of organic strawberry, carrot, sweet potato, beet, and lemon, and Galaxy Green with tropical kiwi, avocado, spinach, and lemon. 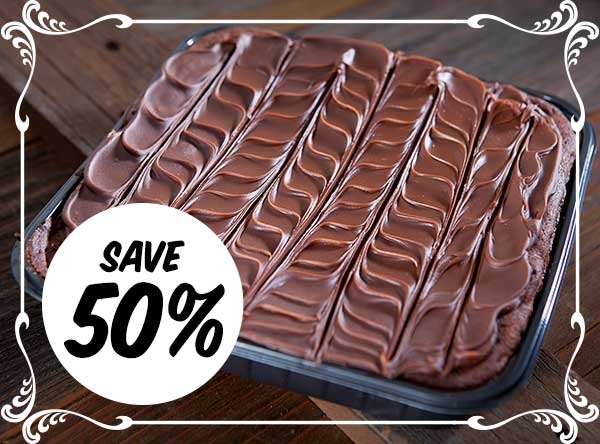 Save 50% on Nugget Markets 8x8 brownies from our bakery. Rich and decadent, our brownies are made using callebaut chocolate chunks and cocoa powder. They are great for a BBQ and topped with vanilla ice cream! Choose from fudge, walnut fudge or plain. Our wine stewards have put together a delicious line up for this week’s wine tasting events. Get in on the action, and stop by one of the following Nugget Markets locations from 5 p.m. – 7 p.m. Flights are only $5 each and attendees must be at least 21 years of age. Roseville Morgan Winery & Anchor Brewing Co.
Prices valid July 9–15, 2014.